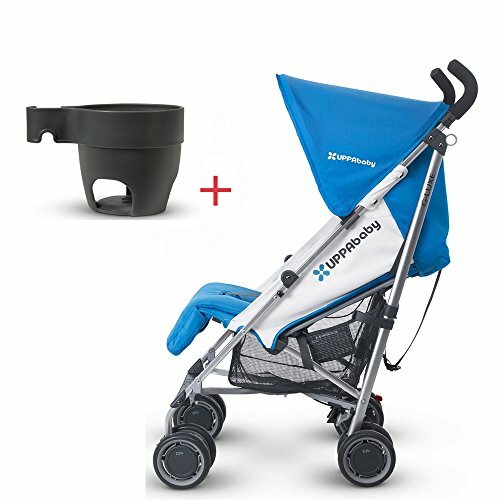 Looking for a stroller that keeps you light on your feet? With its lightweight all-black frame, the UPPAbaby G-Luxe Stroller is one of the lightest full-sized umbrella strollers in the US. Plus, it has smart adjustability, offering three recline options from upright to 120 degrees, making it easy to keep your little one comfortable at all times. This new edition features one-action brakes and a robust profile, but you'll also love that it's a cinch to open, it stands upright when folded, and can be toted along with its convenient carry strap. Includes cup holder.